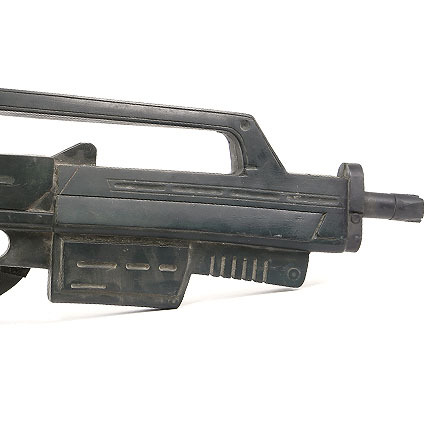 This futuristic “Morita” firearm was used by the character “Johnny Rico” portrayed by actor Casper Van Dien in the 1997 science fiction film “Starship Troopers” directed by Paul Verhoeven. 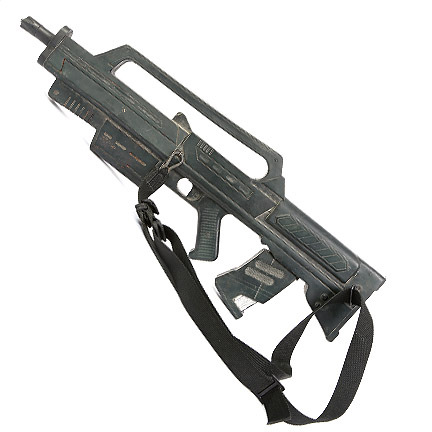 The non-firing prop weapon is constructed of dense rubber with hand painted details and is attached to a black nylon shoulder strap. 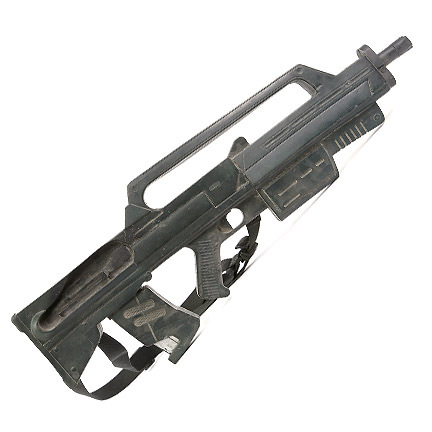 Remnants of faux “bug” blood are located on the left side of the fore grip. 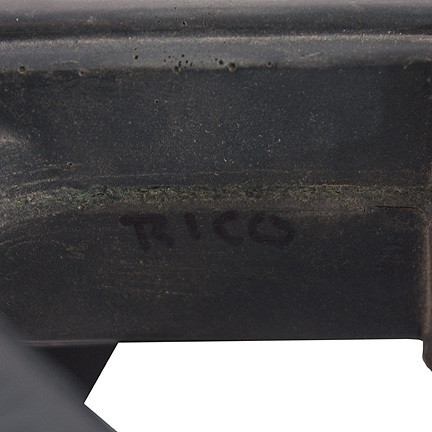 The character’s name “Rico” is handwritten in black marker on the underside of the prop. 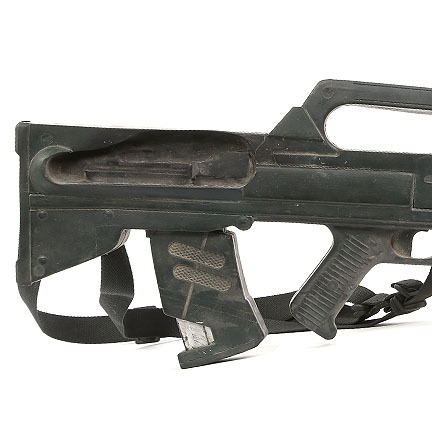 Mr. Van Dien used this prop weapon in multiple scenes during the climatic scene when Johnny and his squad of “Roughnecks” travel inside the subterranean bug burrows in search of the “Brain Bug”. 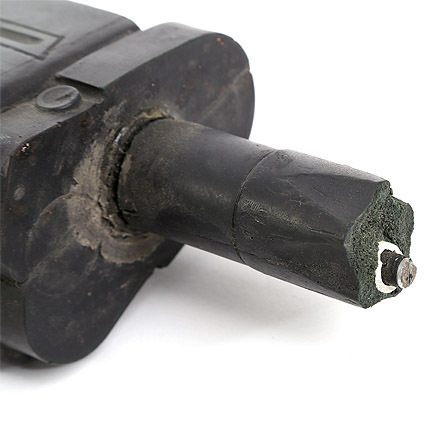 While traveling through the underground tunnel network Johnny decides to go “off-mission” and explore another tunnel with a couple of his men after getting a strong intuition that his former flame “Lt. 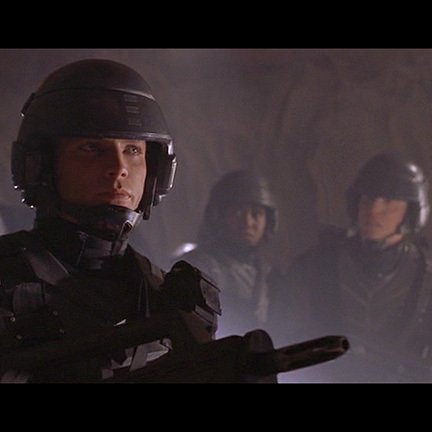 Carmen Ibanzez” (Denise Richards) is still alive somewhere in the tunnels. 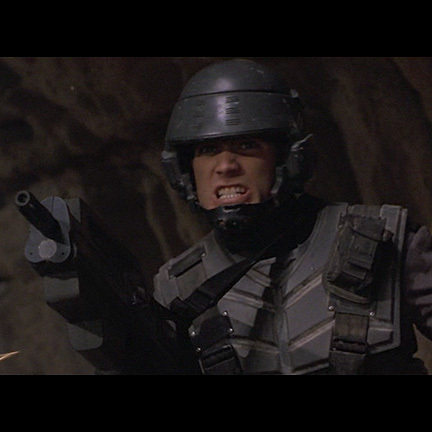 He appears with this “short version” Morita during the ensuing tunnel firefight and escapes after rescuing Ibanez from the bugs. 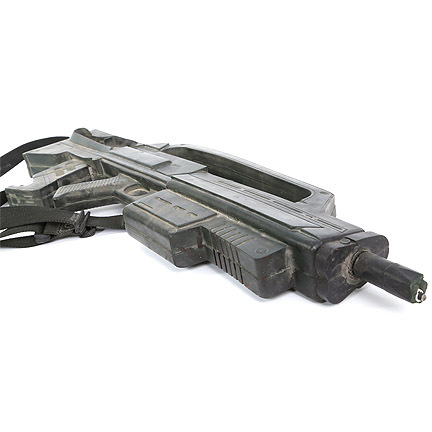 The prop is in good screen used condition overall with some damage that occurred to the muzzle tip during its use in the action sequences underground. 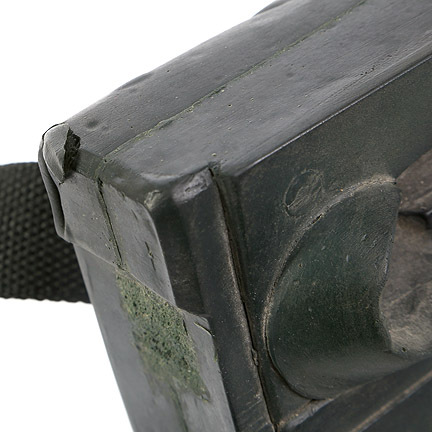 The underside of the barrel has the character name “Rico” handwritten in black ink. 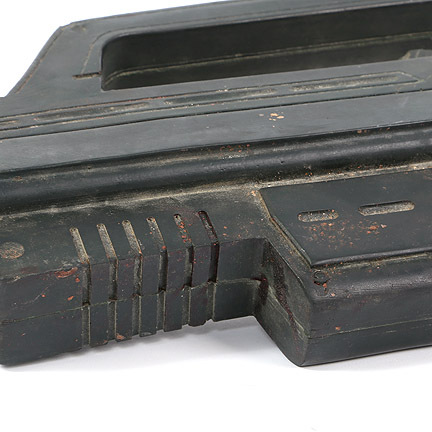 Accompanied by a letter of authenticity from the film’s weapons coordinator who oversaw its use on the production.